Book a skilled gutter cleaning expert in Memphis. Backed by a total satisfaction guarantee and amazing customer support. 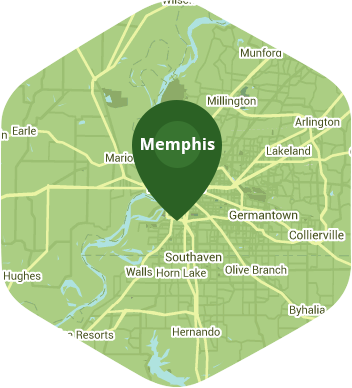 Lawn Love makes booking Memphis gutter cleaning services easier than ever! FREE estimates and quotes on gutter cleaning near you. Get the best rated Memphis gutter cleaners to your door in no time! Book now and see how easy Lawn Love is to book in services. The largest city in the state of Tennessee has a rich and storied history, and has long been viewed as one of the country's premiere destinations when it comes to music. Speaking of music, Memphis hosts the annual Beale Street Music Festival every may, and is also the city where Elvis Presley lived in. As a matter of fact, The King's mansion, Graceland, is one of the city's most popular attractions and continues to bring in thousands of visitors each year. You should do yourself a favor this weekend by enjoying Memphis instead of cleaning your gutters. While you enjoy the city, Lawn Love will be the one to take care of your gutter cleaning. Even though gutters are rarely talked about or mentioned, they are still one of the most important parts of your home. They prevent rainwater from accumulating on your roof and redirect its flow towards the downspout. Gutters that become clogged by debris such as leaves and sticks will not be able to function normally, and this can lead to your home suffering from water damage. Regularly having your gutters cleaned can save you thousands of dollars in repair costs. Our independent experts at Lawn Love can come to your home and clean out your gutter and downspout effectively and safely. Most of the debris in your gutters will be gone once they are done with the job. You can call us at 901-410-4492 or get a free online quote to know more about our rates. Rated 4.71 / 5 stars in 1,892 Memphis customer reviews. It looks like the expected precipitation in Memphis is 0.63 inches, which means your lawn got a nice soaking—leave those sprinklers off today. Dusk and dawn are the best times to water your lawn (the sun will rise at 6:16 AM and set at 7:39 PM today in Memphis). Average lawn size 5,783 sq. ft.